How do I get quality aluminum coils in Ontario? Aluminum coil can be used in industries like building, home appliance, electrical equipment, furniture and transportation. Through the use of internationally advanced double-coating double-baking and roller coating equipment, we at Panel can produce aluminum coated coil with fluorocarbon (PVDF) coating, polyester coating, and coating in special color. We annually make over 13,000 tons of aluminum coated coil in different specifications, with max. width of 1,600mm and max. thickness of 1.2mm. 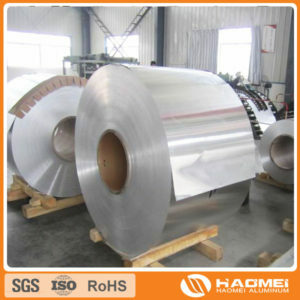 The aluminum coil is strictly inspected being cleansed . Then we coat PPG or paint containing 70% fluorocarbon resin onto the clean surface. This enables us to ensure the unsurpassed quality of our aluminum coated coil. Haomei Aluminium, with decades of manufacturing history and over ten years of exporting experience, offers aluminum coil of various types. For more information please contact wade@haomeicn.com. Good luck with your purchasing!